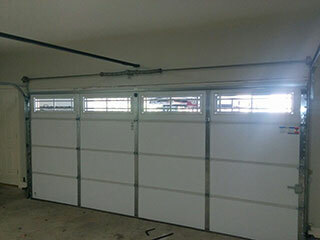 One of your garage door’s most important parts are its extension or torsion springs that do all the heavy lifting. While many homeowners believe it’s their opener that does all the work, these components are actually the ones in charge of supporting the full weight of your door panels. While they are designed to work reliably for a long time they do have a limited lifespan, and it’s important to keep them in good working order. When one of these components approaches the end of its working life, it often gives off warning signals. Some of the most common signs are squealing or wobbling, or a door that seems to be unbalanced. While sometimes merely adjusting the springs may be enough, other times may call for them to be replaced. Both of these procedures can be extremely dangerous, so you should always call our experts to get it done safely and quickly. In order to make sure your springs keep functioning properly for as long as possible, you'll need to have them regularly maintained. That means lubricating the full length of their coils and adjusting their weight distribution and tension. By getting this done on a regular basis, you'll be able to avoid a lot of unnecessary wear and tear damage. Our experts can perform this with great skill and care. When a spring breaks, it could damage other parts of your door, not to mention cause you or any of your family members some serious harm. Our experts at Garage Door Repair Arlington specialize in replacing and adjusting these crucial yet dangerous components, and we can take care of any issue you may be experiencing. Call us today.